Home > Blog > How Can I Deal With DDoS Without a Hardware Firewall? How Can I Deal With DDoS Without a Hardware Firewall? A Distributed Denial of Service (DDoS) attack can bring a server to its knees in minutes. DDoS involves flooding a server with requests, forcing the server to be unusable and unresponsive. While occasional DDoS attacks are inconvenient, repeated and persistent attacks can cripple a website and prevent you from running your business. Large businesses like PayPal have felt the full force of DDoS in the past, but no website or business is immune. While DDoS attacks are illegal, in many countries but it is incredibly difficult to track down the perpetrators, since they often use botnets to carry out their crimes. Prevention therefore is the best cure. Hardware firewalls are often considered the most robust type of protection against all kinds of intruders, and the best defence against DDoS, but they are not always practical. The days of placing mainframes behind firewalls are long gone. If you run virtual machines, a hardware firewall isn’t practical. The solution? You will need to run a software firewall to protect each server you deploy. 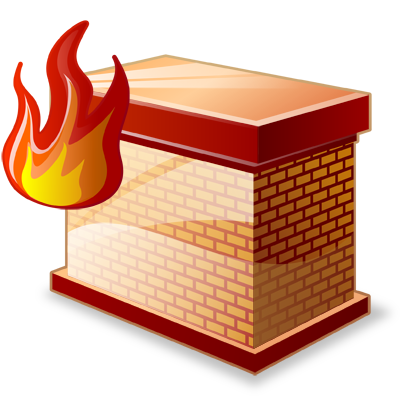 Config Server Firewall (CSF) is a free software firewall that is designed for Linux servers. It’s valuable because it’s designed to prevent the kinds of brute force attacks that can bring a server down. CSF has flood detection technology that is specifically designed to recognise, and protect against, a DDoS attack. The key feature is connection limit protection, which monitors incoming connections and detects very high quantities of active connections from one IP address. While CSF isn’t totally failsafe, it does a good job of preventing mild or moderate attacks. CSF can be used from the command line or from specific hosting control panels, including cPanel on Linux. It’s especially useful for deployment on Dedicated servers and Virtual Private Servers (VPS), many of which have cPanel installed as part of the package. The user interface is also installed on Webmin. To enable DDoS protection without cPanel or Webmin, you’ll need to edit the CSF config file with a text editor. You must define the ports that are to be monitored; remember that not all ports will be open by default anyway. You can also optionally set a threshold for the number of IP addresses that trigger a block, and you’ll choose whether to block them permanently or for a set period of time. The portflood setting allows you limit the number of connections to any port in a specified period. It’s wise to also download IP block lists for CSF. These will effectively pre-program the firewall to block IPs that are known to be the source of problems, ensuring that your server cannot be targeted by these IPs. CSF also has a whitelist; check that your own IP address, and the IPs of any other administrator, is added here. CSF is a very good firewall that is ideal for dedicated hosting and cloud environments. It is quick to deploy and easy to configure, even if you are not well versed with the command line. Below you can find a quick tutorial on how you should start the installation. CSF is now installed and running, you can now close the terminal. For more detailed information on CSF check out the CSF user documentation.